Everyone knows how expensive owning a car can be. In fact, it’s the second largest purchase most consumers will ever make after buying a home. And as families grow, more cars are needed in a household, whether it’s for more room for young ones or for your newly licensed teen driver (gulp). Then all the sudden you’re faced with tremendous car bills, and on top of that you need to have car insurance on them, too. From finding an insurance company that cuts you a break for being a multi-car household, all the way to healthy car maintenance and fuel efficiency, here are a few ways you can keep your car bills down when you own more than one car. Car insurance is a necessity that everyone needs when they own cars, and as inconvenient as it might be to insure all your cars, it’s something that can really protect you when you least expect it. But insuring more than one car can quickly add up. To help you cut costs, we’ve created discounts for drivers who are insuring more than one car. Depending on which state you live in, you could save up to 20 or 30 percent on your car insurance just by insuring more than one car. 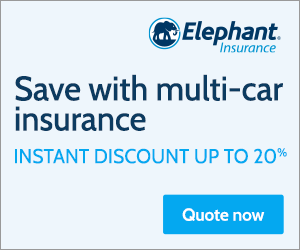 Elephant also offers a Multi-Car discount for drivers like you who deserve a break on their car insurance. 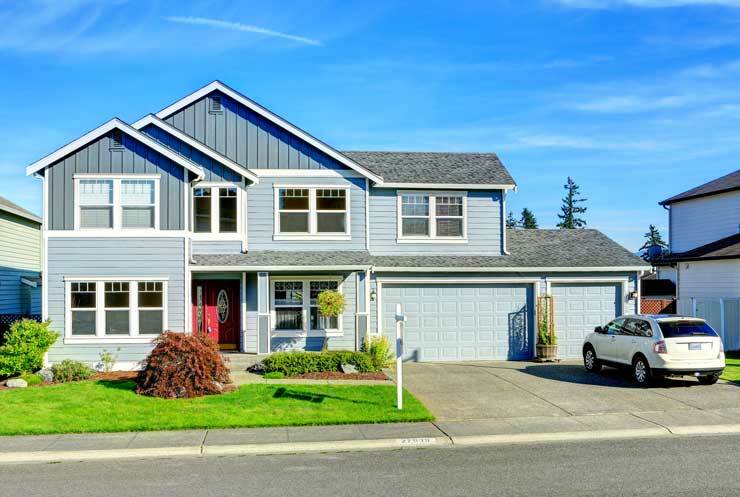 And since you have more than just your car insure, Elephant also offers a Multi-Policy discount when you combine homeowners or renters insurance with your auto policy. Cars are expensive to upkeep, but a necessity for most of us to get through our day. Whether you have an older car or one that is brand new, there are certain things you can keep an eye on to maintain your car’s condition and save you a few bucks along the way. Each car’s make and model can vary when it comes to the type of maintenance and care that it may need to keep it running and out of the repair shop. Before doing anything to your car, it’s important to reference your owner’s manual when considering the type of maintenance or work it may need. Other than keeping your insurance costs low, here are a few other ways you can keep your car affordable. There are two types of oil: regular and synthetic. It’s important that you know what oil your car takes to properly care for it. Each car is different when it comes to knowing exactly when to change the oil, but the average for conventional oil is around 7,500-10,000 miles. If your car carries synthetic or a blend of synthetic oil, you are in luck! Those types of cars can last up to 15,000 miles between oil changes. Not only is it wasteful to change your oil more frequently, it also can get expensive. Your tires are the only part of your car that touch the road, so it’s really important they stay healthy. Make sure your tires are always inflated to the recommended PSI for your car’s proportions and weight. This helps with wear and tear on the tires and even helps with getting the best gas mileage for your car. Your owner’s manual will have the recommended PSI for your tires, and some cars even have it listed within the driver’s side door. Tire rotations are equally important in protecting the lifespan of your tires. On average, tires should be rotated every 6 months, but a lot of that depends on how frequently you drive your vehicle. The upkeep of rotated tires has many benefits like keeping your car functioning properly when coming to sudden stops or halts, getting better gas mileage, and preserving the durability of your tires for longer. Anytime your car is in a repair shop, make sure to ask your mechanic to give your car’s tires a quick look-over to make sure they’re in good shape. Your owner’s manual can tell you more about how often to change transmission fluid for your car. Automatic cars vary from every 60,000-100,000 miles and manual cars vary from 30,000-60,000 miles. Transmission fluid needs to be changed to keep your transmission lubricated and running properly. By sticking to a mileage schedule, you can lengthen your transmission’s life and prevent you from paying hefty mechanical bills in the future. Air filters catch debris from the air that enters through the engine, so it’s important to change your air filter periodically. If a filter gets clogged, a variety of things can happen: lack of power during acceleration, higher RPM’s when accelerating, fuel economy can be affected, and in some cases, the dreaded ‘Check Engine’ light may come on (yikes). Thankfully, the average air filter only needs to be changed every 15,000 to 30,000 miles and it can be done affordably at most car shops. Be sure to double-check your owner’s manual to see what is recommended for your car type. Regardless of how efficient your car’s gas mileage is, it’s still a large chunk of change you’re having to pay periodically. Thankfully, there are a few things you can try to help keep those gas prices low. Gas apps such as Gas Guru, Gas Buddy, and Waze have become a convenient way to tackle efficiency in driving by providing anything from gas rewards to showing the cheapest gas stations on your route. Another option is to join a rewards program. Some drivers like to go the credit card route since many of today’s credit cards offer cash back rewards on purchases like filling up the tank. Some gas stations offer lower prices if you join their “fuel club” and certain grocery store chains offer lower gas prices through a gas point reward system when being a loyal shopper. Keeping up with a healthy car maintenance routine hopefully can help you save money in the long run and keep your car happily running (and out of the shop). And when you’re budgeting what you can spend each month on your cars, don’t forget that there’s insurance companies like Elephant that can give you a considerable discount on your Multi-Car policy.